considering a Honda Civic, a toyota corolla & VW Jetta and am a bit concerned about the relaibility of the Jetta. 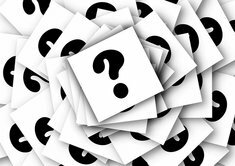 Are my concerns well founded? If you ca. 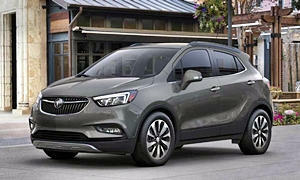 Use the AWD in the snow or wet, it rains everywhere eventually, I'd look at a 2017 Buick Encore AWD. They are 20-25% off right now and searching on cars.com I find a bunch of them for $18K. It will offer a longer warranty than the economy cars you mentioned and provide oil change and tire rotations the first two years. Our 2013 Buick Encore would see 39 mpg at 60 mph for hours on end...with AWD. The Civic and Corolla are reliable. 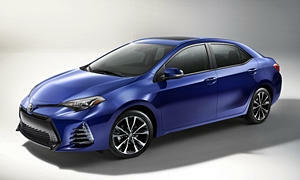 I'd get a 2014 Corolla over the cheap feeling previous gen 2012-2015 Civic. You are correct about the Jetta. They have always been unreliable. If you like the Jetta go with the Golf, which is for some reason more reliable but close to the same car. If you need AWD go with a Subaru, not a Buick. 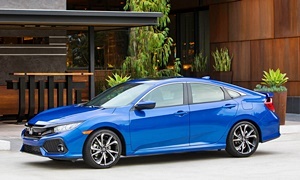 Maybe you can find a 2016 Civic in your budget, which has better safety scores than the Corolla and older Civic and is quieter. Those are nice and comfortable. 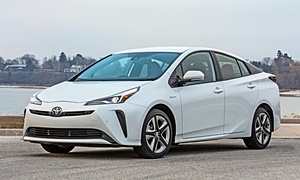 A Prius is another good car. Safe, great MPGs, and decent noise isolation. Mazda3 - my favourite inside out and fun. 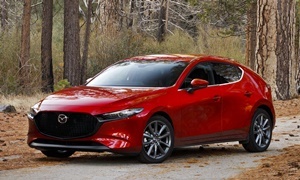 My fav is the Civic, but the Mazda3 is a close second. However, the OP said he wanted a quiet cabin and the Mazda3 has a lot of road noise. Check that when test driving. 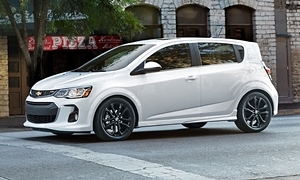 If you're looking for reliability and dependability - the Chevy Sonic is ranked #1 small car in the most recent JD Powers Long Term Dependability (3 years) survey recently released for 2014 model year vehicles. 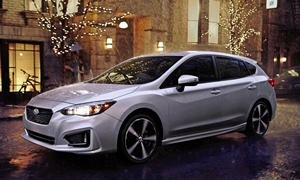 With year end discounts now going on you should be able to get a very nicely equipped Sonic easily within your budget. We purchased our 2014 in September of '14 and have had zero problems. We went with the 1.4L turbo with automatic - day in day out mixed driving delivers 35 MPG. Straight highway runs I can get 40+ MPG. I know that many people think of Toyota or Honda as being dependable - and in many cases they are. Just not the most dependable in the small car category. A coworker has a 2013 Sonic sedan with 5-speed manual and loves the car. He has a dedicated set of tires for the winter and, like you, sees 40+ mpg on the highway doing 75 mph. I ecu tuned his 1.4T and it really scoots for a small car. He has only had a corroded battery cable (road salt) out of pocket expensive at 50,000 miles and he doesn't baby it when it is making +200 lb-ft of torque. Before you buy a subcompact car think about the amount of car you would get compared to a nicer car that's a few years old. 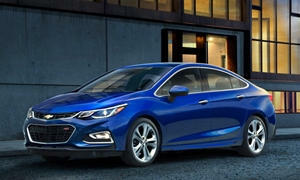 You could get a 2016 Cruze for the price of a new Sonic. Used compacts cars offer a lot more comfort than new subcompacts. The Sonic is one of the better ones, but TBH I wouldn't go for any of the subcompacts.